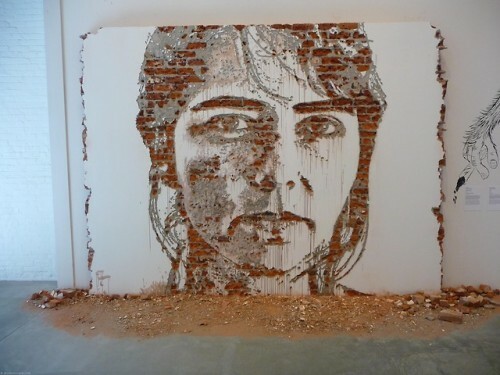 Alexandre Farto, aka Vhils. 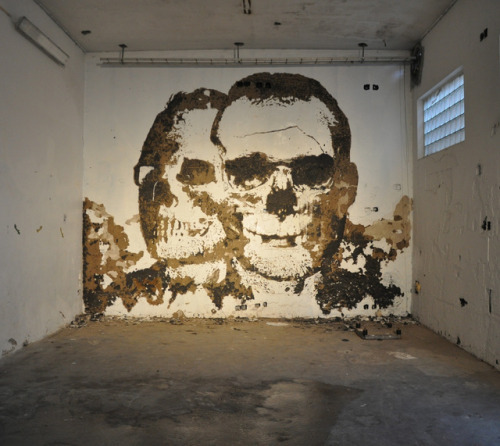 Born in 1987 in Seixal. 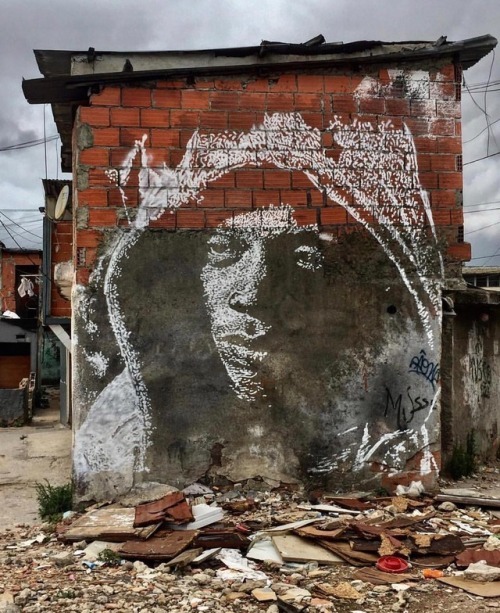 The industrial landscape of the area was an ideal canvas for Vhils who took to expressing himself via graffiti at a young age. 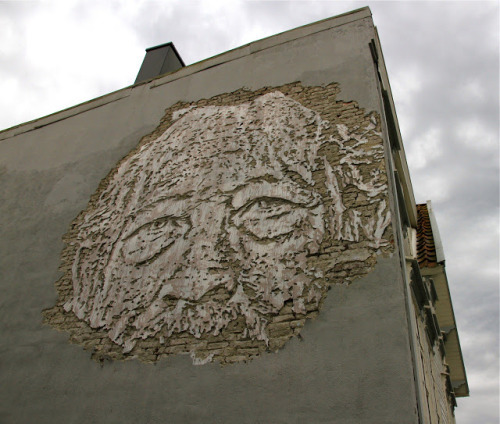 He signed his impromptu imagery with the tag “Vhils”, which has no meaning except that V-H-I-L and S are his favorite and fastest letters to write with paint. 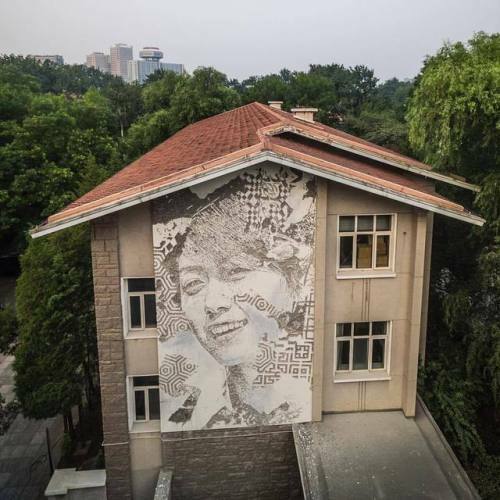 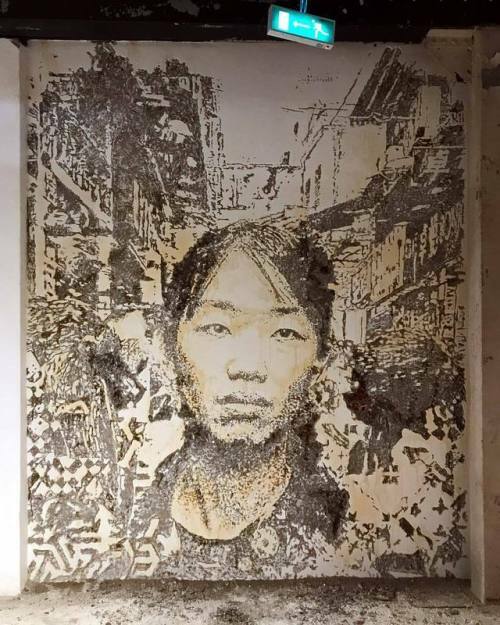 Vhils’ works are all about exposing layers and creating textures. 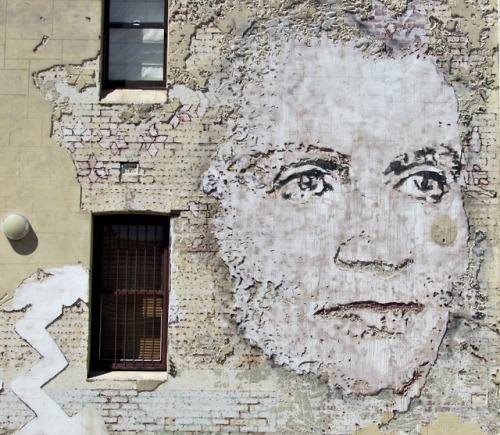 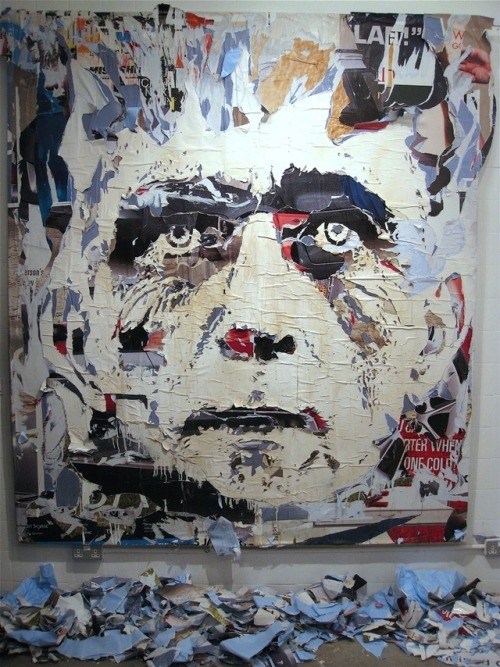 His massive urban portraits are carved and sometimes blasted, using the support as media.